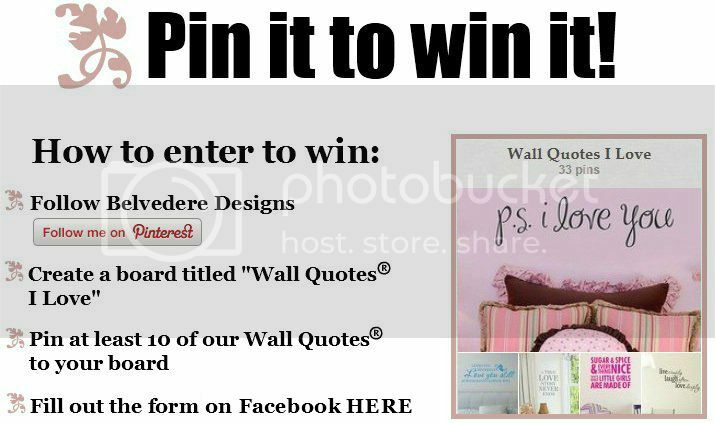 Belvedere Designs proudly presents the "Pin it to win it" contest, going on now! We are so addicted to Pinterest that we came up with an awesome promotion for all our Pinterest-loving fans! There will be not one winner, but three and each will win a quote they've pinned to their board - so choose wisely! Visit our Facebook page to enter now!